Fried Green Tomatoes is a super cute movie from the early 1990’s. If you live in the south, you’re probably well aware of the delicacy that inspired the movie. 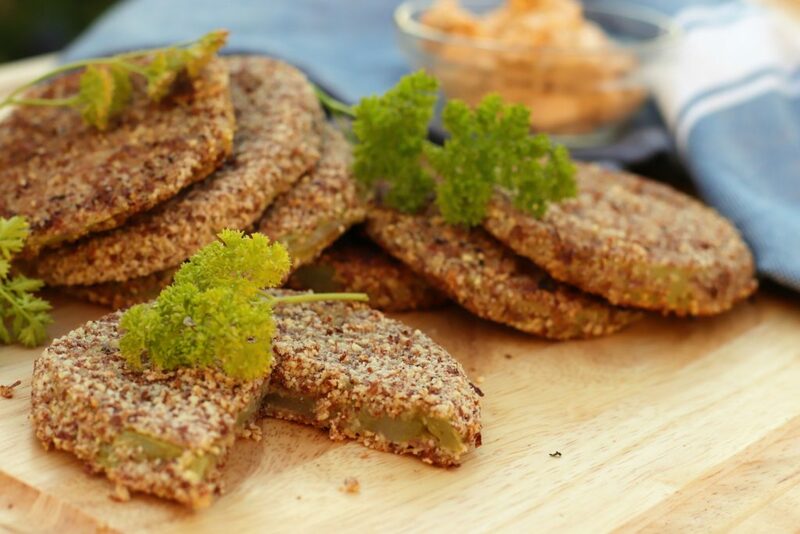 Other regions, however, aren’t as well known for for this crispy-coated appetizer made with unripe tomatoes. 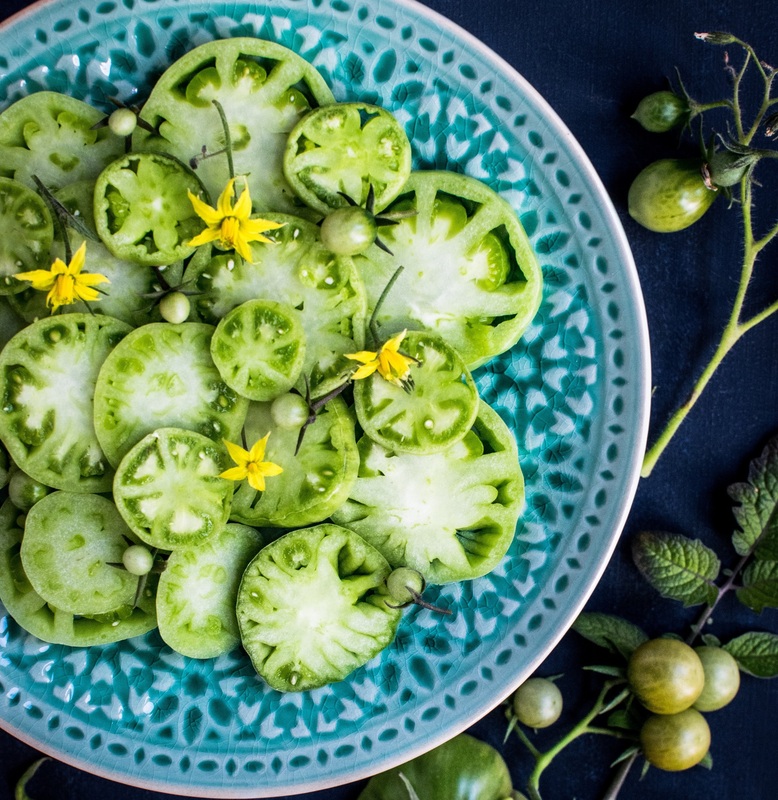 A trip to the farmer’s market in the spring and summer got us thinking… what could we do to use up the bounty of green tomatoes covering the tables, and how could we do it with the 131 stamp of approval? With just a handful of ingredients, they’re pretty easy to whip up. Just be sure to have some avocado oil on hand for healthier frying, and a good-quality almond meal (not almond flour). Hey- did you know the 131 Method is also a book? Pre-order now! And if you’ve never come to a live Chalene Show Podcast taping, it’s an absolute ball! Tickets are going fast! Mark your calendar for April 18th, 2019. Slice ends off each tomato. Cut tomato into 4 to 6 slices, or about ¼-inch thick. Lay on paper towels and sprinkle both sides with salt to draw out the moisture. Let sit for 15 minutes, then blot dry. In a shallow bowl, whisk eggs and water. Add almond meal through pepper into another shallow bowl and whisk well. Heat half the oil in a large pan until bubbling over medium. Dip each tomato into the egg wash(you’ll have some left over), and then coat both sides with almond meal mixture. Lay into the oil and fry half the batch for 4 minutes per side, or until golden brown and tender(reduce heat, if needed so that the coating doesn’t become too dark). Repeat with remaining oil and tomatoes. Serve with spicy avocado mayo, if desired.